Yelp is a crowdsourced urban guide designed to help people find places to eat, drink, be pampered and have a good time as reviewed by people who have been there and can offer their opinion on what’s great and not-so-great. For business owners, this means the potential to amass credibility and gain more customers by interacting with the people leaving reviews, setting up deals through Yelp or even list an advertisement with them as your business picks up. 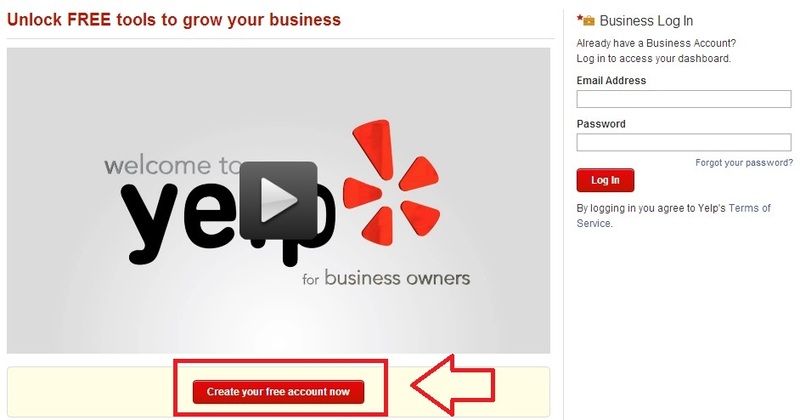 Yelp offers a dedicated type of account for businesses separate from that of a general reviewer account, so this guide walks through the setup of the business owner account. Let?s get started! This process takes about fifteen minutes and you will need: A business email address (at your domain or Gmail, Yahoo!, Hotmail, etc). When you’re ready to continue, go ahead and select “Create your free account now”. Fill out the form with the appropriate information and select “Add” to continue. It will then give you a confirmation and ask you to click on the confirmation link they emailed to the address you provided. 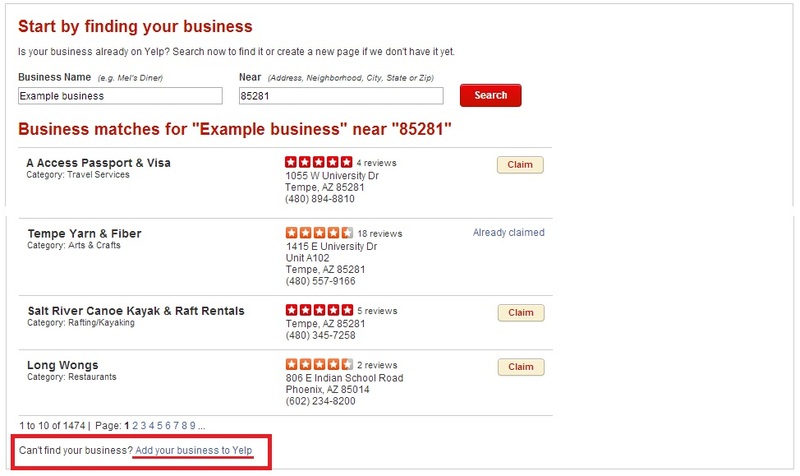 Once that link has been clicked, Yelp will thank you for submitting your business and let you know that it may take a few days for them to review your business submission. While waiting for your business to be confirmed, we recommend brushing up on some of Yelp’s Common Questions that business owners ask! Confirmation can take anywhere from a few hours to a few days, but once you’ve been verified, navigate to biz.yelp.com and get signed in. This will take you to the control panel for your business page and give you options to fill in additional information and complete your page. Add Business Specialties – What does your business specialize in? Add Photos – Business photos are viewed millions of times on Yelp each month. Upload a photo of your business. Add Business History – Talk about the history of your business and how the business got started. Add Owner or Employee Bio – Share a little about yourself or a particular coworker. Convert Visitors into Customers – Yelp Deals and gift certificates are an easy way to attract new customers. When Yelp users buy, you get paid. 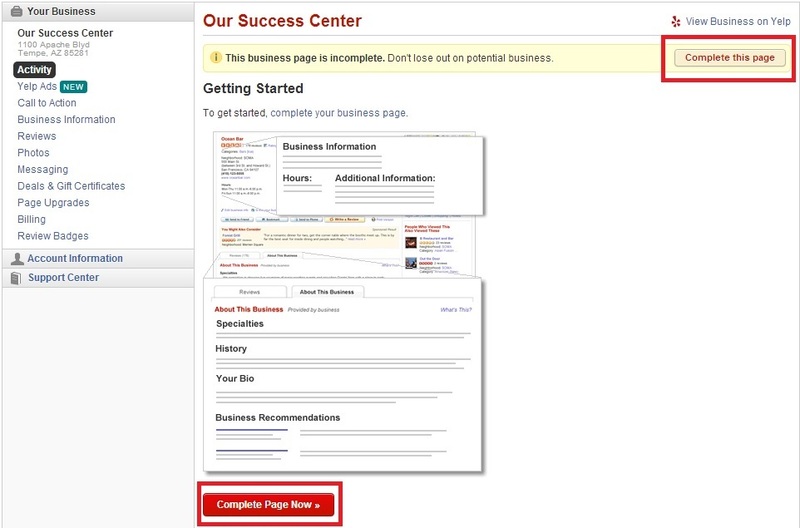 Once you’ve completed your business profile, get out there and let people know you’re on Yelp! For additional information not covered here, please check out Yelp?s help section.